This article will tell you all the information about ESO PTS (Public Test Server). You will find out how to access it, how to play there and what advantages you can get from playing in test environment. 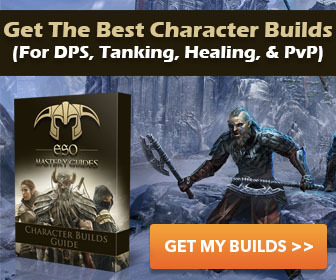 Elder Scrolls Online is a subscription based MMO. When you purchase Elder Scrolls Online you receive 1 month of free game time but when free month is over you need to buy extra game time in order to continue playing. There are a lot of questions about how to create beta account for taking part in ESO Beta events. This guide will help you. Elder Scrolls Online download link can be found into your Beta invitation. 20 GB of free space required. If you want to tell other people that you are a fan of Elder Scrolls Online and you are waiting for the game you can use these images. They were created for using at forums and websites. Mega Server is a new technology of “flexible” servers that allow to maintain the same amount of players in a particular area. ESO does not require a very strong machine. The game engine allows to run it on a wide variety of systems. So you will have no difficulties. Xbox or other console version is not planned yet. Elder Scrolls Online Wiki contains all the interesting information you need to know about the game. This Wiki will continue to be updated as soon as new facts become available. Amazing game screenshots of TES world. The best pictures and art. Wallpapers can also be found here.